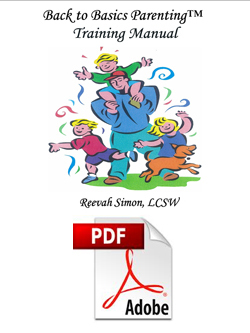 Back to Basics(tm) Parenting Manual PDF VERSION gives the family therapist solid practical tools and step-by-step instructions on how to clearly identify problems and then to make interventions that effect change. 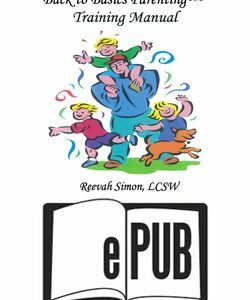 The Manual enables parents to learn solutions for any behavior problem their children from age 2 to 20 may present. All forms and scripts are bilingual Spanish and English.